Different 3D printed parts require different types of support structures and levels of granular control. 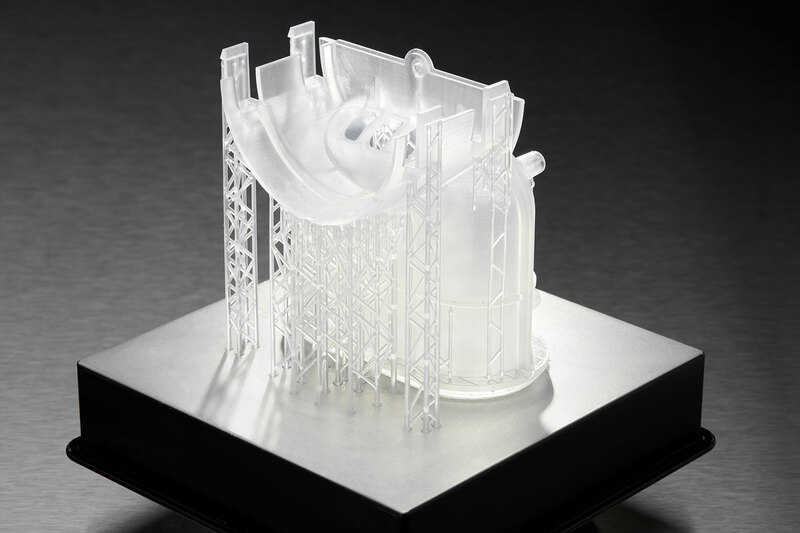 Successful printing boils down to a balance: less is better, but too few supports, or supports that are poorly optimized or not tailored to a specific geometry or material, lead to print failures. In PreForm 2.18, we’ve updated how automatic support structures are generated to help you print faster and use less material, made some behind-the-scenes print process improvements, and added some new options to offer even more control and even simpler workflows. Read on to learn how the newest features work, or download PreForm 2.18 now. PreForm 2.18 enables generation of supports that directly adhere to the build platform to support overhanging geometries. To ensure proper adhesion, many parts benefit from a raft (or base) that connects the supports to the build platform. However, some parts can print successfully without a raft: specifically, smaller parts or parts with flat surfaces that can serve as a base for adhesion. PreForm 2.18 enables generation of supports that directly adhere to the build platform to support overhanging geometries. 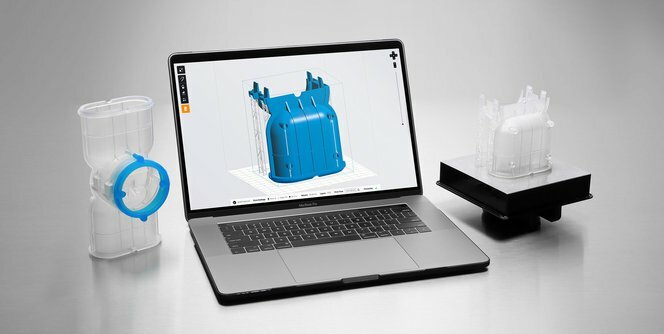 We’ve heard a lot of requests for this feature to help increase efficiency by reducing print time, material usage, and manual post-processing and allowing for printing of more parts on a single build platform. Print critical, flat geometries directly on the build platform and use supports to address overhangs without adding a full raft. Print time (left): 6 h 30 m, using 74.92 mL of Clear Resin, compared to 9 h 58 m print time (right) using 109.06 mL of Clear Resin, auto-oriented with raft. Some surfaces that appear completely flat may actually contain subtle deviations, depending on the tessellation of the original STL file. PreForm 2.18 automatically corrects some of these deviations to ensure a perfectly flat underside for successful print adhesion. Recommended for: Parts with both flat surfaces that can serve as a base and overhang features that require support. Try it: Download PreForm 2.18 and open your model. Open the “Orient” panel and click “Select Base…” to place the largest flat surface on the build platform. Open the “Supports” panel and enable the “On Build Platform” checkbox. 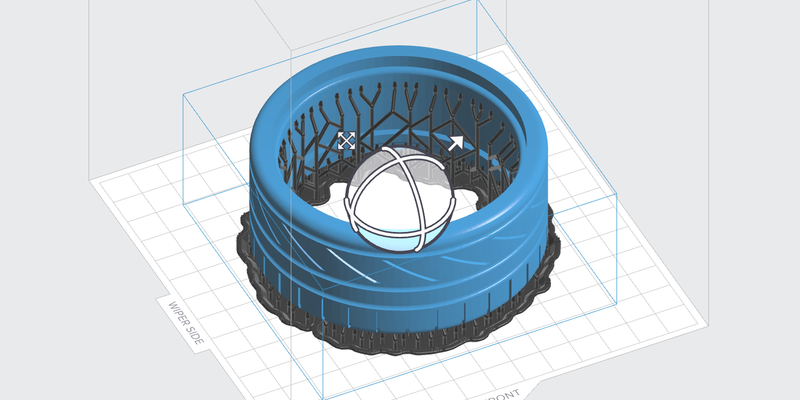 PreForm 2.18 includes optimized print rafts for ring-shaped parts to reduce the required support material, which means less waste, and faster prints. Optimized print rafts for ring-shaped parts reduce material usage and print time. Recommended for: Ring-shaped parts; small parts (where the base can be close to 50% of the print). Not recommended for: Rings with high detail all the way around the surface (for example, eternity bands). These parts should be oriented at an angle, rather than parallel to the build platform, for best results. Learn more about orienting your models. Try it: This feature will activate automatically when printing ring-shaped parts parallel to the build platform in PreForm 2.18 (and future versions). 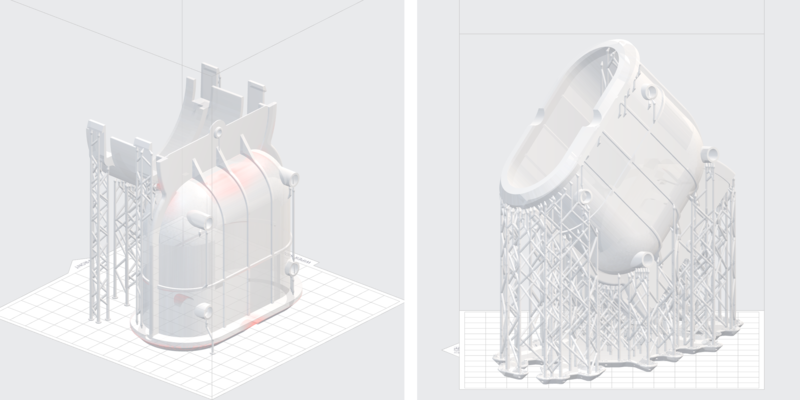 Switching back and forth from CAD to print is a natural part of any iterative design process. Whether testing different sizing, ergonomic qualities, or functional qualities of a design, adjustments may be necessary after seeing and feeling a prototype in person. In PreForm 2.18, right-click your model and select “Replace” to load a slightly adjusted CAD model while keeping the same orientation, setup, and supports from a previous FORM file. Rapid, iterative design means better end products, and the latest version of PreForm removes repetitive steps to make this even easier. To swap in a new CAD model without losing orientation, setup, and supports, right-click your model and click “Replace” to load in a slightly adjusted STL or OBJ file. Pictured here: replacing one wedding band size with another, designed by Formlabs employee Jennifer Milne. Recommended for: High volume 3D printing; mass customization scenarios that reuse an optimized support setup for a particular type of model while swapping in different customer files; iterative design scenarios that involve printing a part, testing fit, adjusting the model, and reprinting. Not recommended for: Parts where geometry has changed significantly between design iterations; switching between materials that require thicker or denser supports. Try it: Download PreForm 2.18, open and right-click your model, and select “Replace” to load an adjusted STL or OBJ file. Manual support edits: Rather than selecting groups of supports one by one, save time by selecting multiple supports to delete them or change their point size. You can also find a new checkbox within the “Supports” menu to enable or disable internal supports and see real-time updates. Global supports: PreForm support generation now calculates the overall stiffness and stability of the part and adds extra strengthening supports if there is a chance that the part may flex or bend during printing. This should be most evident on tall and thin parts, where insufficient support may have previously caused print failures in some instances.